Hair & Makeup will be done by our amazing stylist, Kristine. She’ll ensure that you’re looking amazing for your photoshoot. You could also use the opportunity as a trial for the big day. 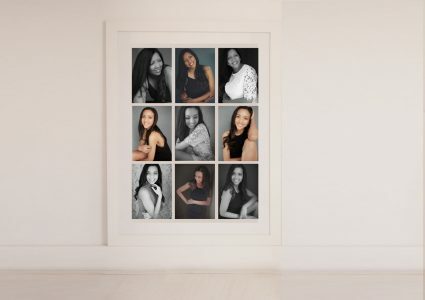 Star in your very own Couture Portrait Photo Shoot before the big event, and walk away with the most beautiful images you’ve ever seen of yourself. Take the stress out of running around to organise everything. Tick 3 things off the list in one go! Already have your Matric Dance Dress? You will meet Rose from Molteno Creations, Kristine, the Hair & Makeup Artist & myself each in turn to discuss, with no obligation, what you would like your dress, your hair and makeup and your photographs to look like in the end. How is the cost of the dress worked out? When you have a consultation with Rose from Molteno Creations, you will describe and demonstrate what you would like your dress to look like. Based on the complexity of the design and the fabric you choose for the dress, Rose will then work out an obligation free quote. The package includes minimum dress quote to the value of R6000.00. Any designs that exceed this base price will be invoiced over and above the package price. How long will the dress take to complete? A minimum of 6 weeks from the time that the 50% deposit is received. The dress will be complete at least 1 week before your matric farewell. Can I tell the hair & makeup artist what look I want? Yes, absolutely. The trial hair and makeup session is your opportunity to say exactly how you want your hair and makeup to look on the day of the Matric Farewell. This is also that day that you will do your photoshoot, so you know exactly how you’re going to look on the night. When do we do the hair & makeup trial? 1 week before the Matric Farewell. The photoshoot will take place on the same day as the hair and makeup trial. When will the photo shoot take place? What do I wear for the photo shoot? 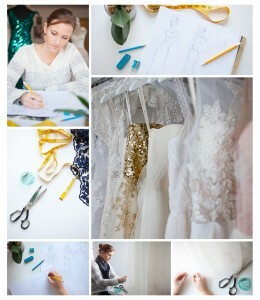 We will schedule your hair and makeup trial AND your photo shoot for the dress collection day. You will then do the photoshoot in your dress so you will have gorgeous photos and you’ll know exactly how you will look on the night of the event. How many images do I get from the Photo Shoot? The package includes the cost of the studio time as well as the printing, mounting and supplying of 5 edited high resolution images in a black collection box. Additional images will be available for purchase either individually, or by upgrading the image package. Individual images which have been edited, retouched, printed and mounted in an 11×14 (279mmx355mm) mount/matte start at R450.00. Collection boxes at the same size start at R2000.00. Any print purchased includes the high resolution file. Full pricing and product options will be shared at the consultation. How do I choose which images I would like in the collection box? After your photoshoot, the best 40 images will be edited and uploaded to a password protected online gallery. From there you will be able to make your selection. 50% on booking the package. The balance and additional expenses will be due on delivery. We suggest for the consultation, as well as for the day of the makeup trial and photoshoot, you bring one person along with you. Either your Mom, another family member or a close friend.